The chance to swap a house in London for a penthouse overlooking Sydney harbour seems like an ideal holiday solution. House swapping holidays can be a way to save on accommodation but there are some considerations when taking this holiday route. How Do House Swapping Holidays Work? Just as the name suggests it’s a chance to swap homes with people across the world for a set period of time. The beauty of this scheme is that it will save on accommodation fees, and house swappers can see photos of the accommodation they will be staying in. Both parties can also have email and telephone contact and ask questions of the people they intend to swap with. Where in the World Can I Swap? The world is your oyster when it comes to house swapping holidays. There are websites that supply house swapping services with countries and cities that can be searched. The search criteria can be specific to country, city, size of house, whether or not children are allowed to stay, smokers or non smokers, etc. House swapping holiday websites do charge a fee for providing this service and there are a few companies available on the Internet. How Do I Make Contact With Other House Swappers? Contact in the first instance will usually be through email. House swappers will have photographs of their home for browsers to view. They will also list details such as when the swap can take place and what they are looking for in terms of house swaps. They will also usually list nearby facilities such as transport, stores, and sight seeing attractions. If all the elements fit then an email can be sent notifying the swapper that you are interested. Are House Swapping Holidays Safe? 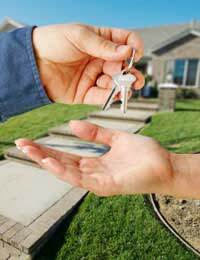 House swapping transactions take place after many weeks of regular email and telephone contact. Those considering this holiday option should take the time to get to know their intended home swappers. Both parties will probably feel exactly the same way with regards to how well their home will be looked after. There is no guarantee that breakages will not happen and insurance companies should be informed that the swap is going to take place. I’m Still Not Sure; Can I Meet the House Swappers? Most house swappers simply want to move into the accommodation and not meet up but there is a way to meet intended house swappers. The holidays can be arranged to overlap so that each participant can meet each other for a day or night to calm any anticipation. Of course this will need to be mutually agreed by both parties. Who Pays the Bills When Someone Else is Staying? Factors such as electricity usage or telephone calls should be agreed before the swap takes place. There can be other factors involved such as using a family car while the swap is taking place and this will mean extra insurance. Strict guidelines should be set out over the payment of bills for the period of the holiday. Are There Safety Precautions with House Swapping Holiday Websites? In most cases a fee will be charged to register and search for house swapping holidays. The fee is not huge and is usually applied annually. The fee does of course make money for the website provider but it also instills a certain element of safety. If these sites were free to use then they could attract people with less than honest motives. Payments are usually made by credit card so details are held bringing an extra level of security. My Home Is Rented Can I Still Swap? Permission may be needed from the landlord before house swapping can go ahead. If permission is granted then make sure the landlord is aware of the period that the swap is to take place. It can also be an added safety precaution if the landlord checks on the house while the swap is taking place. What Other Rules Can Be Set Down For Those Living in my Property? Basically home swappers can insist on whatever elements they choose. They can insist on no smokers, no pets, no children, families only, no single people, and disability access requirements. The stipulations are entirely up to the swappers. If the requirements are not met then they can refuse to participate or decline a house swap offer. Peace of mind is one of the most important factors on this type of holiday option and there is no point swapping if parties are going to be constantly worried about their home. House swapping should not take place if there is any doubt about another swapper’s suitability.